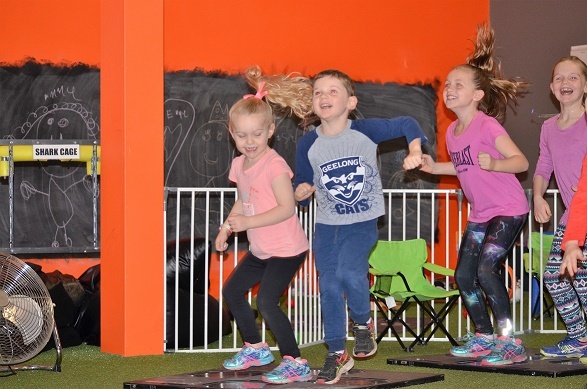 Including Long Day Care, Occasional Care, Before and After school care and Vacation care across Tasmania. "Catholic Care Children Services has been accredited by QMS Certification Services as meeting the requirements of the Australian and international standard AS/NZS ISO 9001: 2015." We welcome families in all their diversity of heritage and background. Support children exploring in a safe, comfort and happy environment. Through children's relationships and participation, we create our learning environment. We offer environments that are nurturing, stimulating and supportive of child development. Corpus Christi Catholic School is located at 10 Alma Street Bellerive. 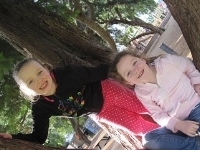 Our Outside School Hours Care program is located in ‘Ballygriffen House’. Providing before and after school care and Vacation Care, this heritage building has been transformed to meet the needs of our program and provides modern facilities and wonderful play spaces for children of all ages. Access is via Alma Street, parking at the bottom of the main carpark [towards Cambridge Road]. Our Team Leader is always happy to show you around and explain what we offer and why the children in our service love coming and at times don’t want to leave. St Paul’s Catholic School is located at Paice St Bridgewater. After school care is provided Monday to Thursday in the heart of the school. The hub space provides a cosy space for play with access directly to the hall and the expansive outdoor play space. Parent access is via the school hall door. Holy Rosary Catholic School is located at 29 Wyndham Road Claremont. The Outside School Hours program is located in St Bernard’s Hall directly behind the church. Access to the Centre is best via the Church Driveway with car parking provided. There is also a walkway from the school parking area via the courtyard. Our Lady of Mercy Catholic School is situated at 22 West Goderich St Deloraine. Our Outside School Hours program is situated in the main building around the corner from the office. Our Lady of Lourdes Catholic School is located at 59-61 Stewart Street Devonport. Our outside School Hours program is situated in the school Gym area. St Mary’s College is located at 164 Harrington Street Hobart. Our After School Care Service is located in the student common room. Our Outside School Hours Care program provides before and after school care and Vacation care. With access to multiply outdoor play spaces and within walking distance of local parks and activities this is an ideal venue for families working in the city centre. St John's Richmond is located in St Johns Cir, Richmond. Our After School Care Service is located in the school hall. Our Outside School Hours and Care program provides after school Care and Vacation Care. With access to multiply outdoor play spaces and within walking distance of local parks and activities this is an ideal venue for local working families. Our Team Leader is always happy to show you around and explain what we offer and why the children in our service love coming and at times don't want to leave. Our Outside School Hours Care program offers limited before school care, after school care daily and vacation care. The program operates from the school hall with access to large outdoor play spaces. Our Team Leader is always happy to show you around and explain what we offer. Sacred Heart Catholic Primary School is located at St Albies Hall, 46 Margaret Street Launceston. Our Outside School Hours Care program is accessed via the top gate in York Street. Walk straight ahead past the buildings and the adventure playground. At the ‘Tunnel and Pencils’ turn right and proceed up the ramp to the glass fronted building. St Cuthbert’s Catholic School is located at 26 Corinna Road Lindisfarne. Our Outside School Hours Care program is in the presentation house which is located within the school ground. St Thomas More’s is located at 46 Campbell Street Newstead. The Outside School Hours Care program is located in the presbytery. CatholicCare Children's Services New Town is located at 35 Tower Road New Town. The Child care centre offers permanent and casual bookings. Please contact us on 1300 119 455 to speak to one of our friendly administration staff. St Anthony’s Catholic Primary School is located at 382a Tamar Hwy Riverside. Our Outside School Hours Care program is access in the school hall and offers after school care for children from Prep to grade 6. Early Learning for children aged 3-5 years is located adjacent to the kindergarten. 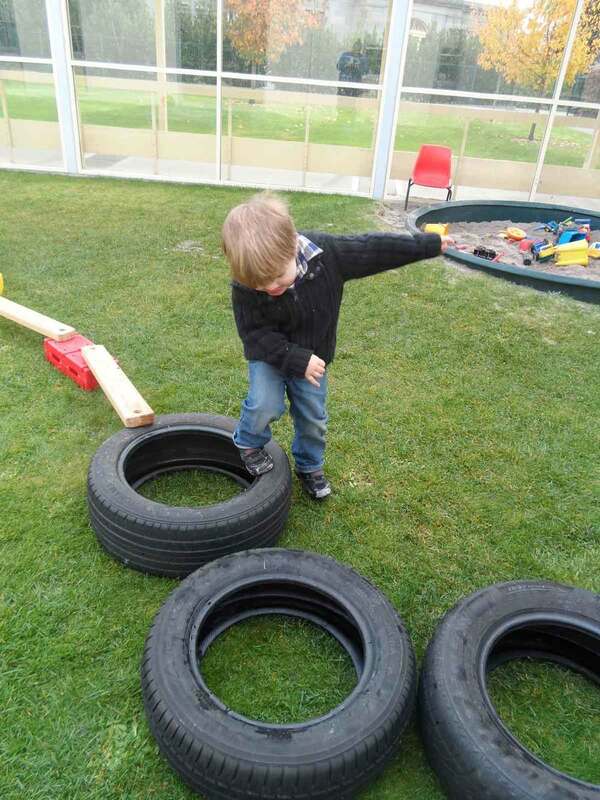 Sharing the outdoor play space that [that is restricted to the littlies] supports the children’s transition to formal schooling and provides familiarity of their surrounds. Kinder children return to Early Learning for before and after kinder care. Children of all ages can access before school care in the Early Learning space from 7am-8:30am. John Paul II Catholic Primary School is located on Mockridge Road, Rokeby. Our After School Care program operates from the library; entrance via the left hand side of the main school buildings. The area provides an enclosed outdoor play space with landscaped gardens especially for school age children. Larmenier Catholic School is located at 38 Station Road St Leonards. The Outside School Hours program is part of the school and is located in the Nazareth Centre (Hall) located by turning right inside the main entrance. Summerdale Primary School is located at 82 – 84 Stanley Street Summerhill. 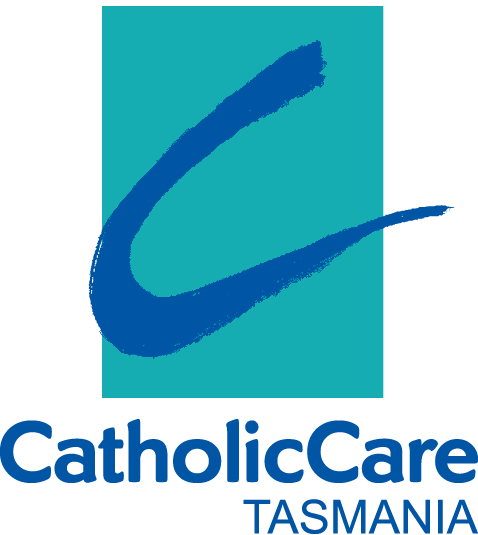 CatholicCare Children's Services operates Outside School Hours Care, Vacation Care, Long Day Care and Occasional Care services at 19 locations across the state of Tasmania. Schedule a tour or give us a call. Enquiries welcome - please phone 1300 119 455 or email ccs.admin@aohtas.org.au to arrange a visit at your nearest CatholicCare Children's Services centre. We have a limited number of places available at each service so bookings are essential. Bookings are not transferred from year to year or from one vacation to the next. First Priority A child at risk of serious abuse or neglect. Second Priority A child whose parent (single parent) or both parents satisfy the Work / training /study test under Section 14 of the Family Assistance Act. Third Priority Any other child Regular bookings are where a child with a current enrolment attends regular booked days in Before School Care, After School Care or both. To apply for a permanent booking click on the Booking Enquiry button above. You must nominate the days your child will be attending and , once confirmed, these days will remain booked for the remainder of the year or until written notification is received. You must give one week’s written notice of cancellations to regular bookings. Casual bookings can be made for your child to attend on irregular basis, however your child must be enrolled. To make a casual booking click on the Booking Enquiry button above or contact administration by phone or email. Subject to a place being available and your booking being confirmed your child is able to attend. CatholicCare Children Services is a not for profit, self funded service. We rely on your prompt payment of fees to maintain effective, efficient operations and to keep fees as low as possible. Our regular operating income comes directly from fees paid by you and from Child Care Benefits & Child Care Rebates paid on your behalf by the Commonwealth Government. Fees shown on our Fee Sheet are the full fees prior to you claiming any entitlement which the government provides to assist you with the cost of child care. Because our services are approved by the Commonwealth Government all parents/guardians no matter what their income level, are able to reduce the full fee by their Child Care Rebate entitlement and depending on their income level are also able to reduce their fees by their Child Care Benefit entitlement. We recognise parents and guardians as the primary educators and caregivers. We have a culture of professionalism through practices of our educators. We provide ongoing educator development that supports the changing of families and children. Children are engaged in daily activities & play that foster their friendships and wellbeing. 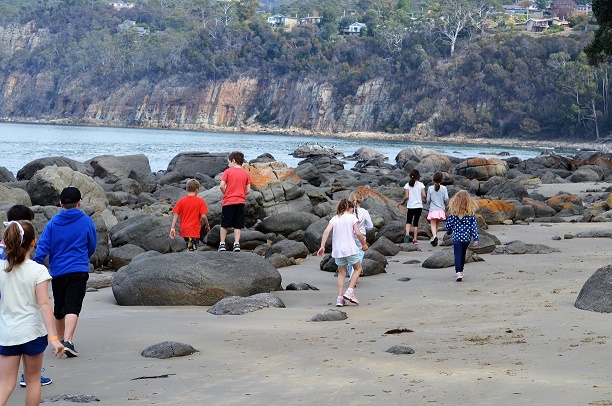 Through observations we enable children to make decisions & explore their environment. Learning areas are set up to provide for group experiences. We offer experiences that are challenging, and age appropriate. Children take responsibility for their own health & physical wellbeing. Being with the children in the moment and getting involved. 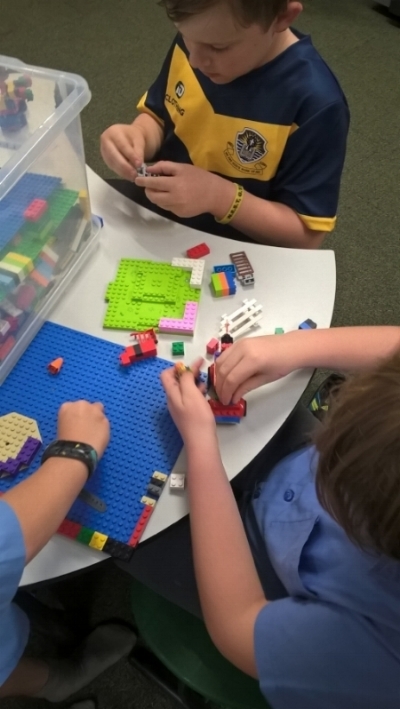 A variety of open ended resources are available for children to become involved learners. Children use familiar household items throughout everyday play. Providing an inclusive and creative curriculum. We set up environment for active and quiet learning. Educators show genuine affection & understanding towards children. Environments are stable, safe and welcoming with familiar routines. Children have oppurtunities to be active. Environments are set up to foster children's play & imagination. Children take initiative in their own learning. Promoting healthy eating by being actively involved. Encourage problem solving , choice and decision making to meet their current interest. Provide children with environments that promotes group work. Listening and acknowledging what children have to say. Establish an environment where children can take risks & challenge themselves. Holy Rosary OSHC " Stomp Fitness"
Corpus Christi OSHC " Christmas in July"
St Mary's OSHC " children's puppet show"
St Mary's OSHC " Children's roasting Marshmallows"